The idea of owning a home facing a water body fascinates almost everyone. The beautiful landscape and the relentless ventilation from the water body will be ideal for a healthy life. It is now very difficult to find such homes in a city overcrowded with concrete jungles. Bangalore is a city that was once known as the city of lakes. It has now only 6 lakes left to be converted into concrete settlements. To bring back the glory of the city, the renowned developer Sobha Developers has planned to create something that everyone would like to be a part of. 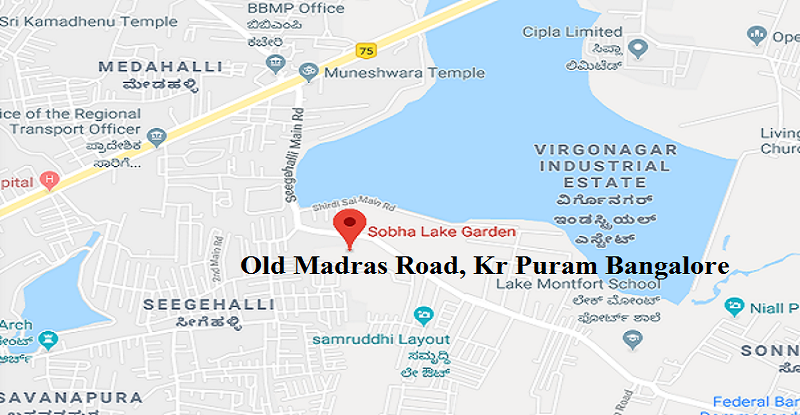 The new venture named Sobha Lake Garden will be the prime focus of the families wanting to own a home beside a natural water body in Bangalore. Sobha Developers is the prime name that everyone suggests to the new home seekers in any city. Its ventures are scattered all over the map of India especially in the leading cities. Since the very beginning, the brand has planned and executed the best infrastructure for the home seeking families to reside. 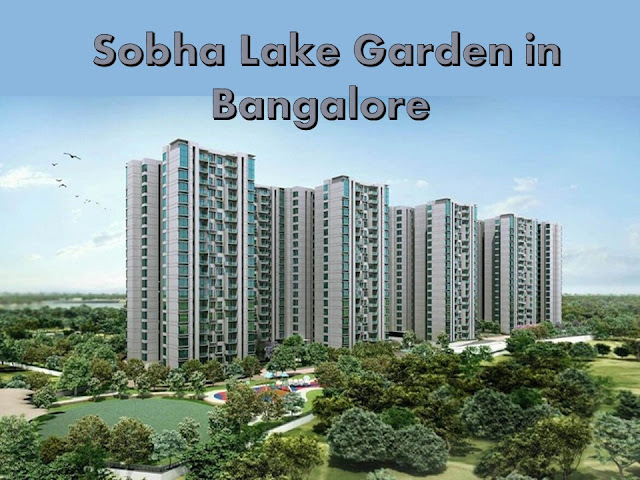 Its latest venture named Sobha Lake Garden will surely become the prime focus of the families and investors in the city. To enjoy a beautiful life ahead, you can easily trust the developer and own the properties from this project. 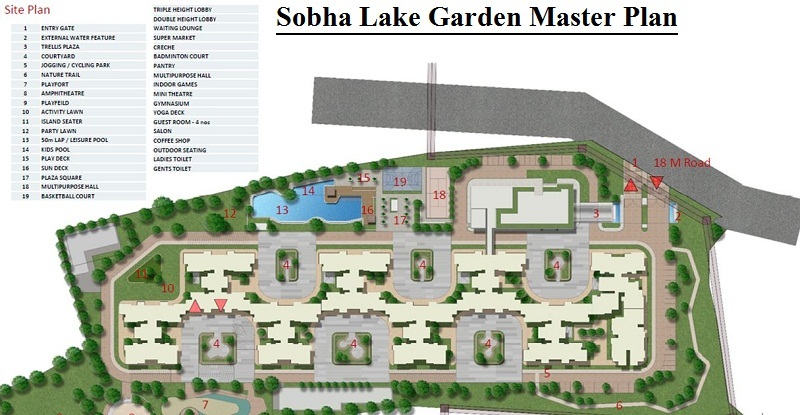 Where is Sobha Lake Garden? As mentioned earlier, the brand has always found the best location to construct the premises of its ventures. It has selected KR Puram, off Old Madras Road to create a landmark residential project. The brand is very intuitive to find such excellent positions for the development of the residential projects. It knows how brilliant the properties will be in the upcoming years in terms of presentation and appreciation. Sobha Lake Garden will be soon constructed in a perfect location close to KR Puram just beside Old Madras Road. KR Puram is one of the most coveted zones in the city where the families often look for a good home to invest. The reason behind preferring this part of the city is that the IT hubs fall very close. The owners will be able to commute to their offices easily from this zone. The presence of multilane roads and excellent public transportation system will make sure that the owners can easily commute without wasting time. the families residing in Sobha Lake Garden will also find nearby shops, markets, malls, schools, hospitals, drug stores, petrol pumps, banks, ATMs, etc very beneficial to lead a smooth daily life. The project has acquired a piece of land of area 8.85 acres. The size of the apartments will range between 914.1 square feet and 1739.3 square feet. The developer has set the price of the properties to vary from INR 50 Lakh onwards. The properties of Sobha Lake Garden will available for possession by the end of 2021. The presence of lakes and greenery within the premises will make the lives of the residents very peaceful. Own a property here and make a brilliant move towards a brighter future. Nice Article, I appreciate you and I would like to read your next post. Thanks for sharing this useful information Second Homes in Spain and Real Estate in Spain. SKA Metro Ville presents Ready to Move in Apartment with basic and advanced features are provided to enhance lifestyle of residents. SKA Metro Ville based on Miven Construction Technology resulting more earthquake resistance, durability and higher carpet area. Greater Noida is a posh locality with lots of features with master connectivity with Delhi, Noida and Ghaziabad. Station as well 5-10 minute’s drive from well – established schools, hospitals, colleges and shopping malls. SKA Metro Villé Site Plan exclusively incorporates 130 mtr wide road, In house – Local Shopping Complex, Club, Swimming Pool & Kid’s Pool, Gym, Walkway/ Jogging Track, Tulsi Vatika, Cricket Pitch, Badminton and Tennis Court, Amphitheatre/ yoga, Reception and Changing Rooms and more. Spread over a lush green expanse, SKA Metro Villé brings you homes that are eco-friendly and convenient, also healthy lifestyle at doorstep. SKA Metro Villé Floor Plan 3/4/5 BHK Apartments designed in modern style with brilliant interior and SKA Metro Villé floor plan, also basic and advanced features are provided to enhance lifestyle of residents. The overall project is based on Miven Construction Technology resulting more seismic resistance, durability and higher carpet area. SKA Metro Villé Price List designed to meet the of buyer‘s budget needs, also various payment options viz. CLP and Down Payment Plan being offered by SKA Group. Home buyers who wish to have their own home in Greater Noida, SKA Metro Villé will be the golden opportunity for them. It’s a never before never again offer, Call now for booking of 3/4/5 BHK luxury apartment.